The Emerging Saluki Leader Award (ESLA) recognizes recent graduates of the college for their outstanding accomplishments and service. Alumni of the SIU College of Business who have graduated within the previous 15 years and are deserving of recognition for their outstanding achievements in business, academia, government, nonprofit organizations or service to their community are eligible for the award. The four members of the 2017 class of ESLA awardees were announced and honored at the annual College of Business Homecoming Reception. The awardees were chosen by the college’s external advisory boards for their outstanding achievements at the early stages in their careers. Kendrick Coleman is a 2010 graduate of the College of Business with a Bachelor of Science degree in Accounting and a 2011 graduate of SIU’s Master of Accountancy Program. 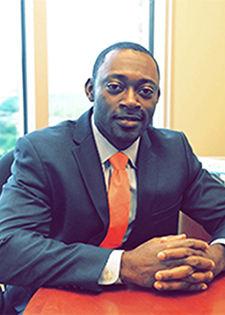 He is currently a staff accountant at Rubin Brown LLP where his main responsibilities include serving as a business advisor and Certified Public Accountant for Rubin Brown’s Entrepreneurial Service Group with assurance and tax planning. Today, Coleman actively engages with and mentors younger students so they may be better-equipped to start their accounting careers. Examples of this work include his involvement with InSight St. Louis, the Accounting Career Awareness Program, the St. Louis Chapter of the National Association of Black Accountants, the NAACP East St. Louis Executive Committee and the United Way Charmaine Chapman Leadership Society. Coleman was a recipient of the 2017 St. Louis Business Journal 30 under 30 Award. 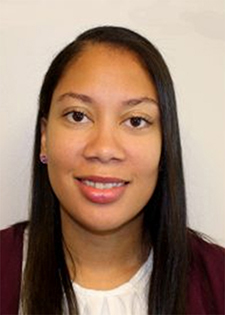 Angela Dowell graduated from the SIU College of Business in 2008 with her Bachelor of Science in Accountancy. She received her Master of Business Administration from DePaul University in 2014. After graduating from SIU, Dowell worked for CNA Insurance as an accounting rotational business associate. Today, she is the vice president of finance for Chicago Community Loan Fund (CCLF), a community development financial institution that helps low- to moderate-income neighborhoods with community stabilization and development efforts. She is responsible for the accounting and finance operations of CCLF and for fostering investor relationships. Dowell has had the opportunity to teach small business and non-profit accounting classes. She also gives back to the community by serving as the finance co-chair for the Young Nonprofit Professionals Network of Chicago and as a member of the Minority Advisory Board for SIU’s College of Business. 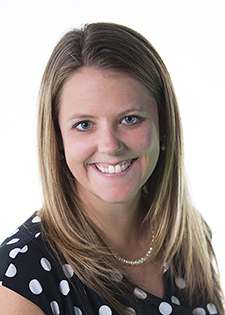 Darla Krause received her Bachelor of Science in Finance from the SIU College of Business in 2002 and her Master of Business Administration in 2003. Today she is a talent acquisition manager for Wintrust Financial Corporation where her primary responsibilities involve overseeing corporate recruitment and managing the commercial banking leadership development program and the summer internship program. With the help of the Business Placement Center, Krause was able to launch her career and begin work for a regional bank in Chicago. She worked for MB Financial for nine years and then joined Wintrust Financial where she eventually earned her current position. Her philanthropic efforts include her involvement as the chief operating officer for Zambia Tomorrow Inc., a non-profit organization that supports an elementary boarding school in Macha, Zambia. She manages the international volunteer program, the scholarship program, social media, donor communications and partnerships with other non-profit organizations. 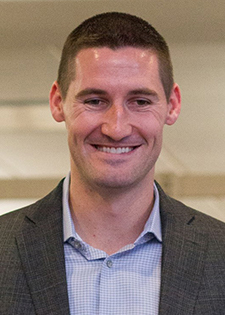 Bryan Mullins received his Bachelor of Science degree in Finance in 2009. He currently works as the director of recruiting and player development for the men’s basketball team at Loyola University. He is responsible for coaching, mentoring and managing each player’s schedule to help them be successful athletically and academically. After his time at SIU, Mullins played professional basketball for the Chicago Bulls and Boston Celtics during the NBA Summer League. He also played for the Irish National Team for the Olympic qualifying games and the French Bourg en Bresse and Chalons Reims. His coaching career began in the fall of 2013 at Loyola when he was hired on as director of operations. He has been able to build a strong relationship between Loyola men’s basketball team and Misericordia. This is a Chicago organization that offers services and support to individuals that are physically challenged or have developmental disabilities. He is also working with the Christopher House organization to create a mentorship program with his players.